Inspiring poets, philosophers, artists, and architects for centuries, the Pont du Gard stands as a reminder of the genius and grandeur of the Roman Empire. Imagine you are in the middle of a huge wilderness area, surrounded by undeveloped land, and suddenly, a massive Roman structure, 2,000 years old and completely intact appears in front of you.I didn’t visit the south of France looking for Roman monuments. And yet, I found myself gazing upon the granddaddy of all Roman aqueducts. Yep, it’s really all that. 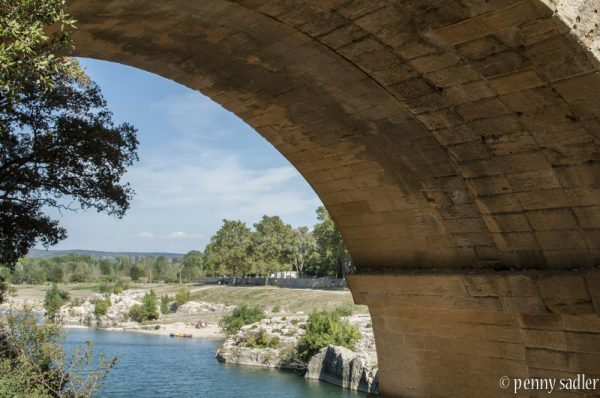 I think part of the reason the Pont du Gard made such an impression on me is because of the location, which reminded me somewhat of the Texas Hill Country, with its low growing scruffy plant life, oak trees, and hot dry summers. I spent about an hour and half walking along a path that followed the Gardon River upstream. I found a path that lead to a spot underneath one of the arches of the bridge. I put my hands on those ancient stones, and tried to imagine the energy and vision of the people who created this magnificent structure. Like Jean-Jacques Rousseau, I felt small and insignificant and uplifted at the same time. 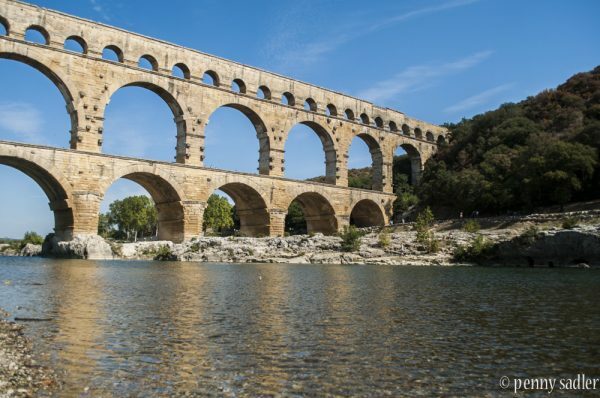 Why was the Pont du Gard built? The Pont du Gard was built as part of an aqueduct meant to carry water about 12.5 miles from Uzes to the city of Nimes (once referred to at the Rome of France). The bridge is three tiers high, approximately 164 feet tall, and 30 miles long. It took over 1,000 men five years to build the bridge which houses the aqueduct. Spanning the Gardon River in the Languedoc in the Gard region of southwestern France, the Pont du Gard has withstood frequent flooding, while more recently built bridges in the area have not. You have to hand it to the Romans, they were the best architects in the world and knew how to build things that would last. It is an outstanding example of a type of construction which combined architectural and technical skills. To summarize: it is an enduring example of the cultural heritage of the Roman Empire. The location of the Pont du Gard, surrounded by 165 hectares of protected land in the south of France, accentuates its immense size and remarkable architecture. It has always been accessible to the public, and is a wonderful area for recreation, including hiking, kayaking, swimming, and sunbathing. It is the most popular monument in France, and receives over 1,000,000 visitors per year. 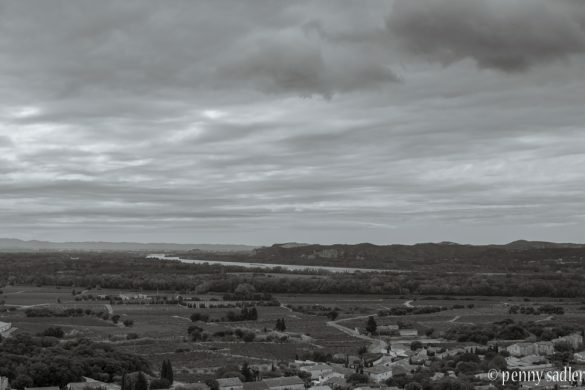 Due to the nature of the site and the unique landscape – referred to in the Mediterranean as the garrigue (limestone soil with fragrant vegetation like lavender, thyme and juniper) – it is important to be respectful, and take everything with you that you bring in. The Pont du Gard is offered as an excursion to travelers on the Viking River Cruises Provence to Lyon itinerary. 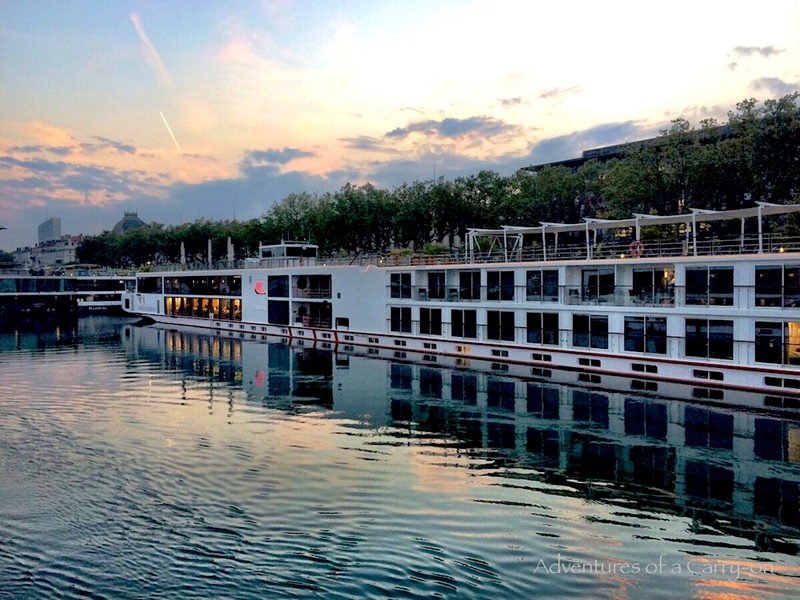 One of many excellent tours I took on the eight day cruise, it stands out as a highlight of my time in France. This tour usually sells out quickly, so if you do go with Viking be sure to book it early on. You can also visit the Pont du Gard on your own. I recommend basing yourself in Arles or Avignon. Both cities have historic centers which are UNESCO sites. Arles is only 10 minutes more drive time to the Pont du Gard, than from Avignon. Rick Steves describes Arles as “grittier than Avignon” and I’d say that’s accurate. I loved it because of the Roman ruins and the Van Gogh history. However I also loved Avignon, a very pretty city that is full of lovely shops, cafes, and home to the Palace du Papes. Check back for more stories on my time there. Here’s the link for the official Pont du Gard website. Hello! A great blog of this extraordinary sight. The Romans really were the master builders! Appreciate you taking the time to leave a comment. The Pont du Gard is magnificent. I had a feeling you were writing about it when I read the opening quote by Jean-Jacques Rousseau. I visited the Pont du Gard on my own in early April – it was very quiet. It’s wonderful that you can also visit the UNESCO site as part of Viking River Cruise. Yes it’s one of the side excursions offered. It was a tough choice as there were other to chose from but now that I’ve done it I’d easily recommend it over anything else. As a lover of architecture, this place is a must visit for me if I am ever in the area. One of my favorite parts of traveling is seeing all the incredibly breathtaking and impressive structures that we humans have been able to build. The even better part is that, they’re all different across the world. They all have their unique styles, colors, and more. Roman architecture in particular has always fascinated me, probably just because of the greatness associated with it. Yes, those dang Romans got around! Love Pont du Gard. Hard to imagine that they managed to build this 2000 years ago and it is still standing! I can imagine a Roman Legion resting under it after a tiring march. Wish to see more photographs from different angles. Thanks for your comment. I wish I’d had time to take more photos. Impressive architecture. A great find, one will usually miss this because much of the tourists would concentrate in places like the Eiffel tower. It does look very Roman. What I love the most about what you said is when you said you felt the energy and the vision of the people who built it. Beautiful experience! thank you! It’s so nice when a reader connects with you. the best! It looks incredible! Never heard of it but if one day I go that part of France I will totally visit this roman heritage. It amaze me how in that time they had the vision and ambitions to build things like this that even to our days they stand with all the glory untouched. Great spot to visit and good job with the article! I was in South France last month and i did pay a visit in Pont Du Gard, such an amazing architectural desig, and a great place to spend a whole day hiking around the area or just photographing the beautiful bridge in every angle! I would love to go back with more time and kayak on the river. I agree with you, Romans were geniuses when it came to architecture! And we have several examples all over Europe to prove that 🙂 Pont du gard looks very pretty, just the kind of place I’d love to visit. Thanks for sharing. True, the Romans are definitely the best architects in the world. 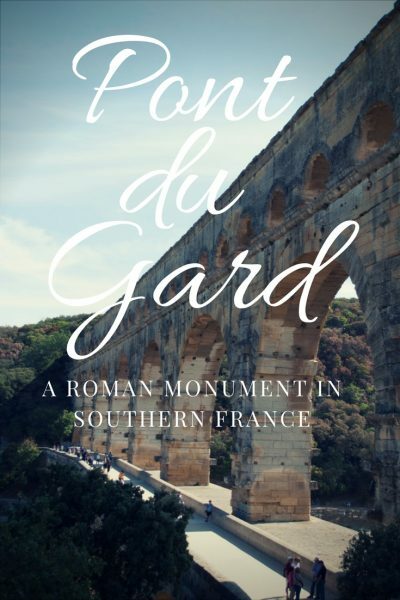 Each time I see one or more of their buildings I can’t help but think ‘HOW?’ without modern tools … I had never heard of Pont du Gard before but it looks truly beautiful! Beautiful Pont du Gard, great to see this monument. The Pont Du Gard looks like a very impressive monument indeed! We’d love to visit Provence and southern France — one day hopefully :-). The Romans were definitely everywhere, leaving their marks on places they visited (conquered?) haha Wish I can go there someday. I’m a huge fan of Roman architecture! Hey Aleah, You’ll go. I know you. And you’ll love it. The Pont du Gar seems stunning, Penny! Your post is so motivational that I really hope to get there as soon as possible. Thanks Agness. Let me know if you go. I’d love to hear how it affected you. Your photos are gorgeous! I’ve never visited France. Everyone wants to go to Paris but I want to visit the south of France. Your photos make me want to go even more. The Pont du Gard would definitely be on my photograph wishlist if I found myself in this part of France. A beautiful example of Roman architecture and one that is set in a great part of France. It is a lovely area. I want to go back. Wow I didnt realize that it’s quite big. It reminds me of the ancient aqueducts. It’s definitely a must see esp for photographers and history buffs. I bet it would look really nice in the golden hours. Hi Darlene, It is a bridge AND and aqueduct. The aqueduct runs across the top of course, though no longer in use. Wow, that’s very impressive. We saw the Roman aqueduct of Segovia in Spain a few years back. What I found to be the most incredible part was that no mortar was used. Is it the same with Pont du Gard? Rhonda, yes, the same. Amazing isn’t it. What an amazing structure and it’s incredible to think it was built 2000 years ago and it’s still standing. I should show it to some of our local builders. haha! yes indeed. It’s hard to think that this is still standing and many bridges built in the past 100 years are collapsing. Wow what an impressive structure! Had I only seen a photo I would have guessed this was in Rome! It’s such an interesting spot for photography too! It is beyond description. I found it to be a very spiritual place. And yes, great for photography, art, anything creative. Right? I too would have guessed it’s in Rome. One of the bridges in Florence looks similar. Not as big but it definitely has some similarities.